Ergonomic handle with finger protection. White colour that stands out. 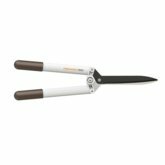 Coated upper blade for less friction. 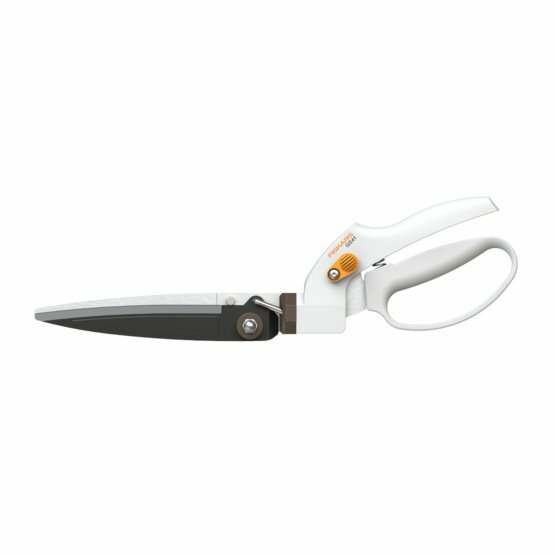 The Fiskars White grass shear GS41 is perfect for light trimming around the garden from grass to smaller bushes. 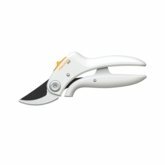 The adjustable head makes it easy to reach and cut also at an angle, and the looped handle offers finger protection. 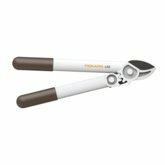 The White colour makes the tool stand out and easy to find in the garden.